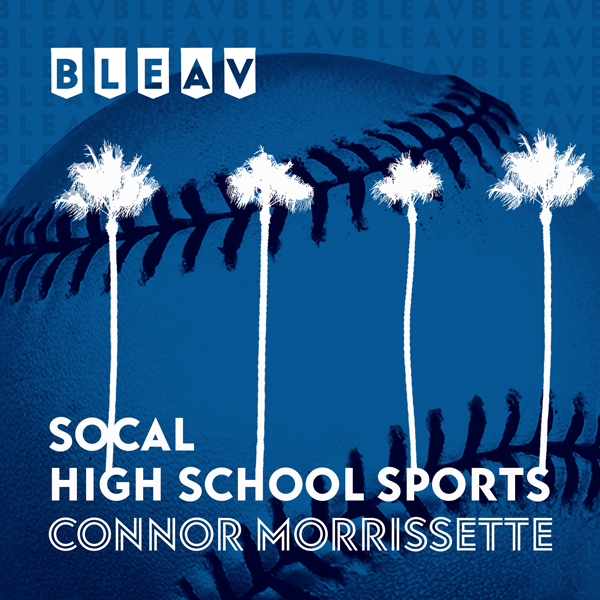 The Bleav in SoCal High School Sports Podcast offers listeners a unique look at prep sports in Southern California. Host Connor Morrissette speaks with athletes, coaches and media members to break down the latest news and biggest stories. Who will be the next great college QB out of SoCal? How did the area's top coaches reach the pinnacle of the profession? What are the challenges to covering high school sports in the region? Listen to find out. In this week’s episode, Bleacher Report’s Mirin Fader discusses her climb from high school sports writer to national feature reporter, some of her latest pieces and what she hopes to accomplish in the future. In this week’s episode, La Habra cornerback Clark Phillips talks with Connor Morrissette about his football recruitment, his relationship with Ohio State’s Ryan Day, his training regimens with Jeff Johnson and much more. In this week’s episode Cal State Fullerton Basketball Manager Reuben Williams discusses his dream of becoming a Division I coach. Connor and Reuben also hit on Reuben’s playing days at Long Beach Poly, his coaching mentors and much more. Connor Morrissette began covering prep sports in Southern California in the summer of 2017 as a reporter for “Southern California Prep Insider” on Fox Sports West. In that time, he has covered some of the top athletes, coaches and teams in the country. A 2017 graduate of Syracuse University, Connor has also worked for NBC Sports and Syracuse’s NPR affiliate WAER. He started his high school sports podcast in January of 2018 and is excited to partner with Bleav.